TWO women who have looked after thousands of mothers and newborn babies are retiring after clocking up almost 80 years’ of service to the NHS. Jacqui Powell and Julie Lazenby were given an emotional send-off by staff at Hull Women and Children’s Hospital as they both completed their final shifts this week. The staff choir at Hull University Teaching Hospitals NHS Trust surprised the women by turning up at their farewell party to sing “Ho Hey” and “Make You Feel My Love”. 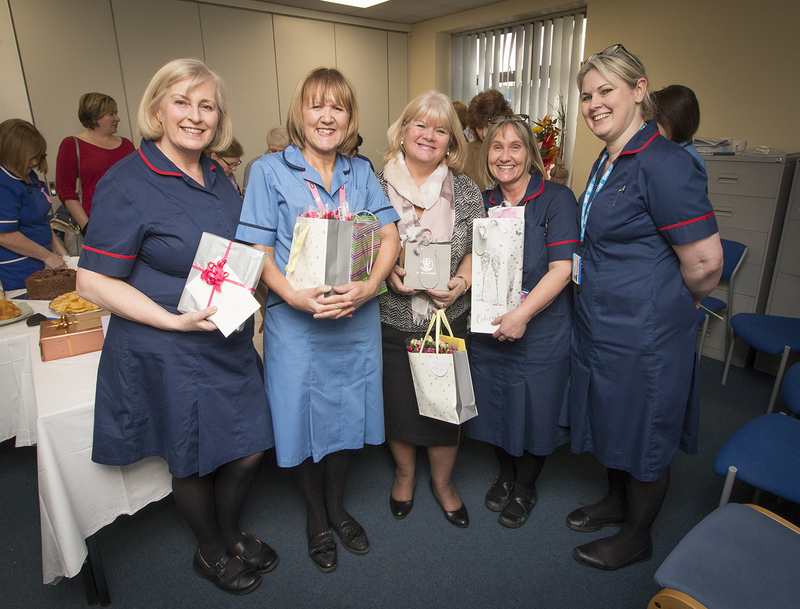 Janet Cairns, the trust’s head of midwifery, said: “Both Jacqui and Julie have devoted their careers to ensuring women in Hull and the East Riding have great birth experiences. Jacqui joined the NHS as a nurse in 1978 before training as a midwife and qualifying in 1985. She worked on the labour ward and as a community midwife for 13 years. She then took on the role as clinical governance midwife at the trust in 2012, overseeing the safety of maternity services and the training of midwives. She said: “I’ve really enjoyed the community and public health side, developing services for vulnerable groups. Julie Lazenby started her NHS career on January 5, 1981, completing her nurse training in Hull before qualifying as a midwife in 1989. She worked on the labour ward and post natal wards before moving into antenatal care and has managed the trust’s antenatal clinic and day unit for the past 20 years. Overseeing the move of antenatal services from Hedon Road maternity hospital to the new Women and Children’s Hospital in 2003, she has played a key role in the integration of services across Hull and the East Riding. The antenatal day unit now sees 1,100 women a month. Julie said: “Developments mean the service is unrecognisable compared to the one in place when I started. Women now come to us with high risk or multiple problems and can access greater care than ever before. “The multi-agency work we now have in place is fantastic and it has been great to be part of such a fantastic team.